Top level master bedroom porch area. Living area. Porch area off living room. Porch area off living room. Porch area off living room. Living room. Living room. Dining room. Kitchen. Kitchen. Kitchen. Dining and living areas. Half bath located off living area. Top level master bedroom with king bed, private deck area and bathroom. Top level master bedroom with king bed, private deck area and bathroom. Top level master bedroom deck area. Top level view of beach. Top level master bedroom with king bed, private deck area and bathroom. Top level master bathroom. Top level master bathroom. Guest bedroom with queen bed, private bathroom and oceanfront deck. Guest bedroom with queen bed, private bathroom and oceanfront deck. Guest bedroom deck area. Guest bedroom deck area. Deck view. Guest bathroom. Guest bedroom with 2 double beds and bathroom accessible from both the bedroom and hall. Guest bedroom with 2 double beds and bathroom accessible from both the bedroom and hall. 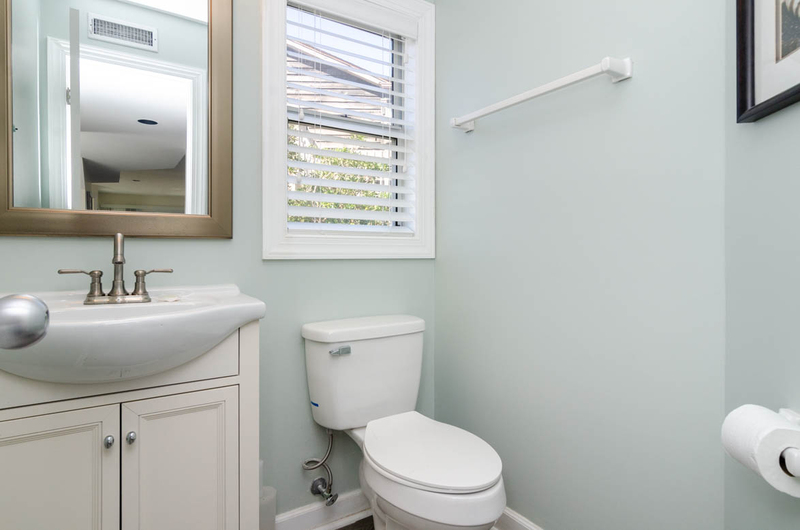 Bathroom accessible from both the hall and guest bedroom. Gated entrance. Oceanside view of building, unit located on the left. Beach area. 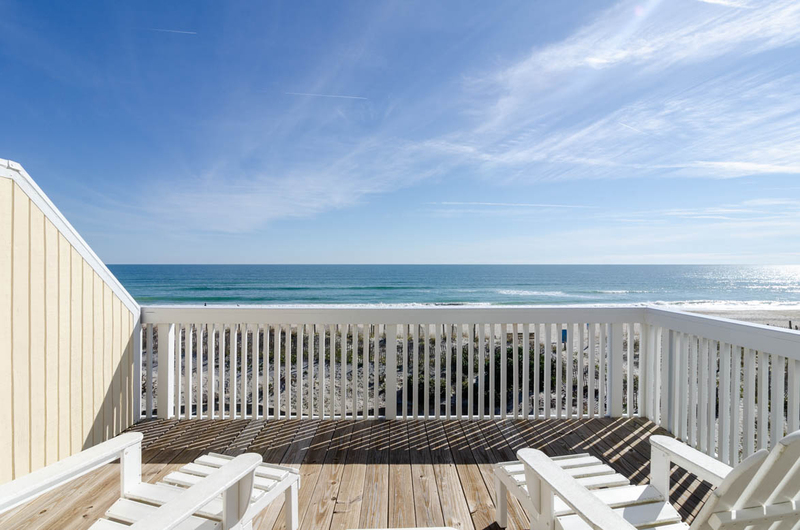 Enjoy superb ocean views from each deck, but best yet, the beach is just steps away! 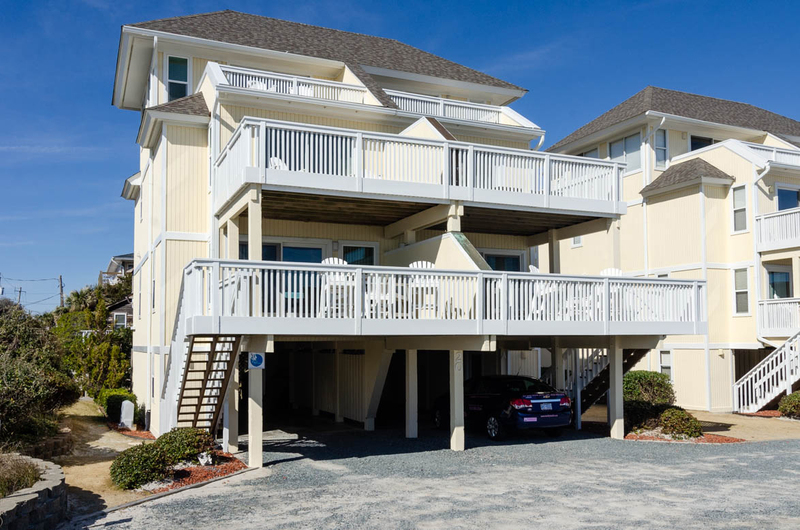 This ocean front, 3 bedroom, 3.5 bath Wrightsville Shores townhouse is a popular vacation spot with many repeat guests. Beautifully landscaped grounds and security gate add to the uniqueness of this property. 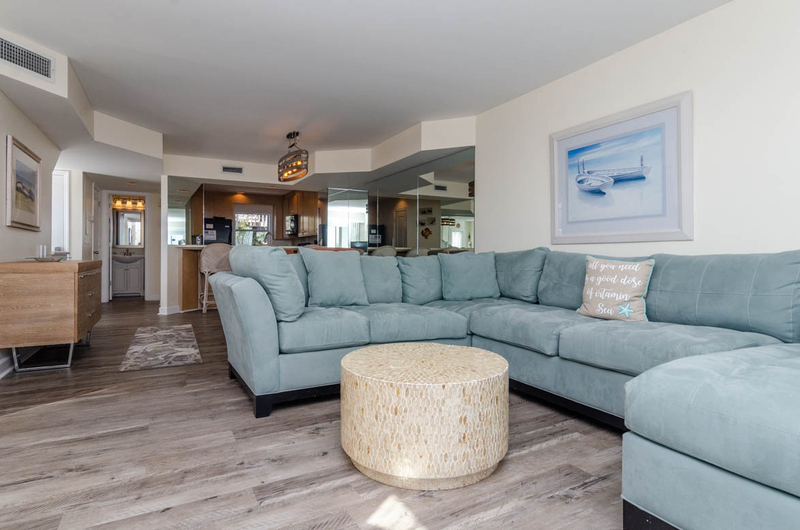 The main level with kitchen, powder room, and living/dining area opens to a large covered deck perfect for relaxing and enjoying ocean breezes! 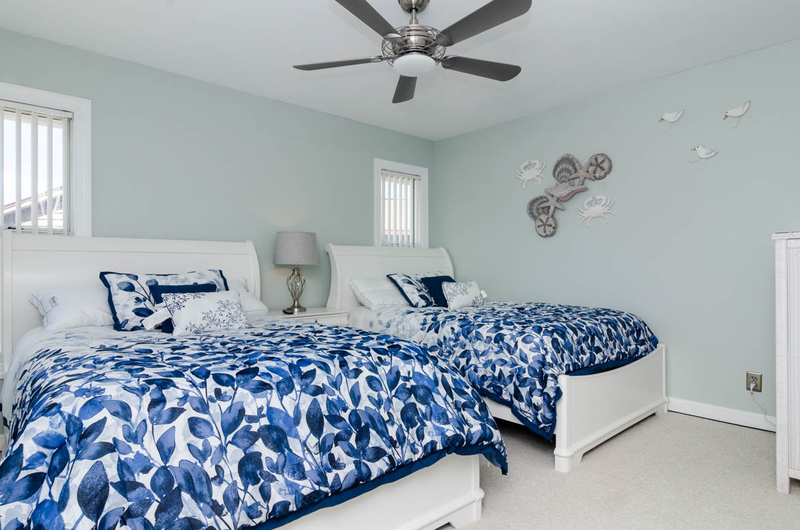 The second level features an ocean front bedroom with private deck, another bedroom and 2 baths. 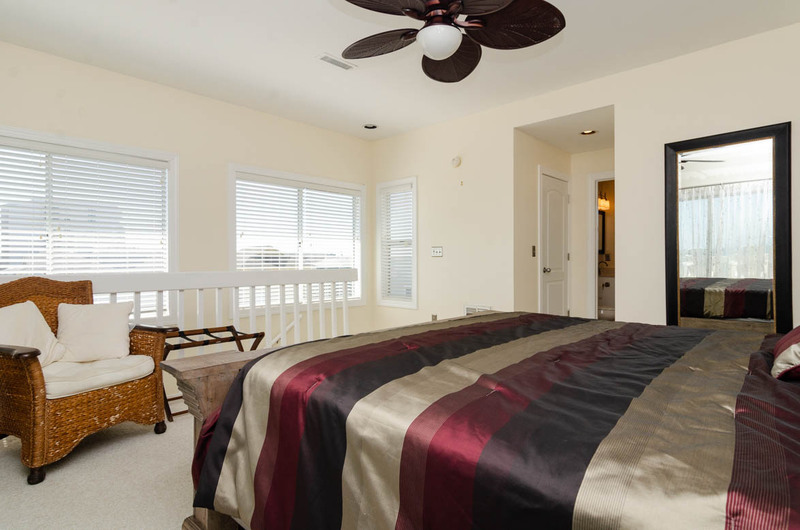 A spacious ocean front master bedroom with deck and bath are on the top level. 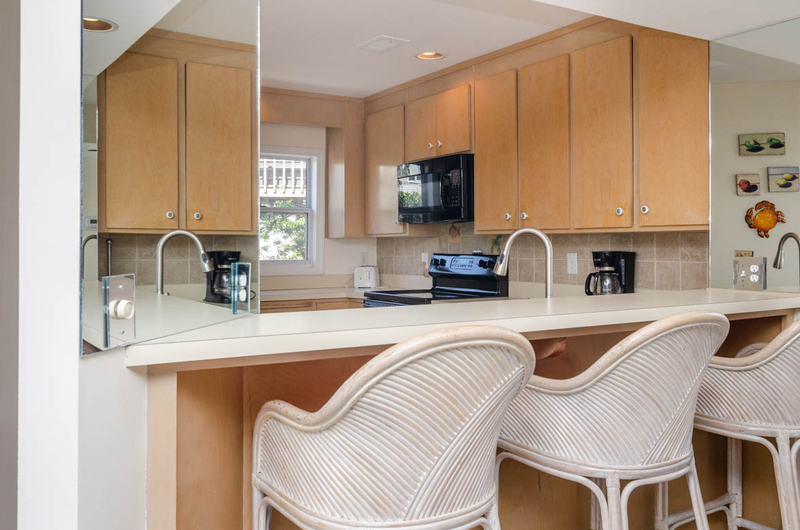 Ideally located in central Wrightsville Beach, you are less than a block from downtown with its grocery, restaurants and shops. If you feel the urge to exercise, “The Loop,” a 2.5 paved path around neighboring Harbor Island and downtown provides a scenic tour of the area. East Columbia Street is popular with surfers, so bring you board! There is parking under the unit plus one assigned space in the driveway. Outside Shower. Occupancy: 6. No Smoking. No Pets. No issues. House was just as described and perfectly clean ready for our arrival. The beach access was just steps away and the view was perfect. We were easy walking distance from restaurants, grocery, shops and bars. Easy access to and fromisland. it was obvious that the owner was doing some upgrading/ redecorating to the property, but there were some problems which made our stay less than ideal. #1There was no guide for use of the downstairs TV--either what buttons to push to get stations or even a station guide. #2the outlet in the Master Bath tripped the circuit breaker every time a hair dryer was plugged in. I'm certain that once these issues are resolved we would definitely give this property a much higher rating. The TV downstairs frequently freezes or just turns off. Not sure if it’s a cable box issue or tv issues. The light switch that goes to the light over the dining table doesn’t work. It feels stuck like it’s been painted over. The last thing is that the cleaning people were waiting outside of the condo at 915. I know they need to get in there but it is very off-putting to have them waiting there for so long while we are trying to pack up. This is the second year in a row at this very same property that this has happened to us as well. They also park in the gravel and it makes it very difficult for us to back our car out for us to leave. We had to do a lot of maneuvering to not hit their car and they didn’t make any attempts to move it out of common courtesy. 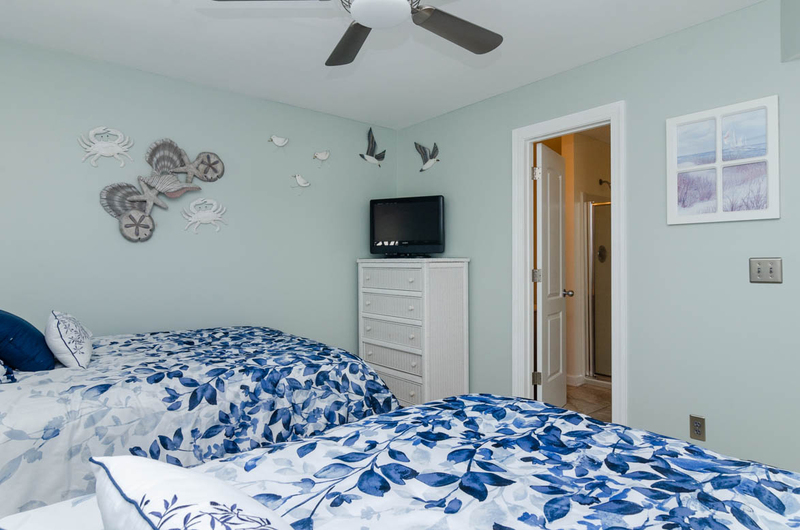 We are locals and we have rented from your company many times and also have an upcoming summer rental with you in June, so it’s disappointing to have that kind of experience on our way out of what was a very pleasant stay. I know they don’t mean any harm but it does come across as rude. Emily we appreciate your response and we are so glad that you enjoyed your stay. I will report these issues to maintenance. I do apologize about the cleaning staff being over zealous and will copy your review for the management team to discuss. thank you and we hope to see you next year. This property is everything it says it is. The views are unbelievably beautiful. The beds were comfy. The living room is well laid out and very comfortable also. The real estate company was very professional attentive to the few things we needed from them. The only caveat I can offer is that this place offers NO amenities. Not a hairdryer, no paper towels, no sponge, no dishwashing soap, no tissues, no coat hangers, no trash bags, only a tiny bar of soap in each bathroom, only one roll of TP in each bathroom. So plan accordingly, and you will love this place! Margaret, Thank you for the review, we appreciate your input and glad you had a good stay. Let us know if we can help you in the future! Location was more than ideal. 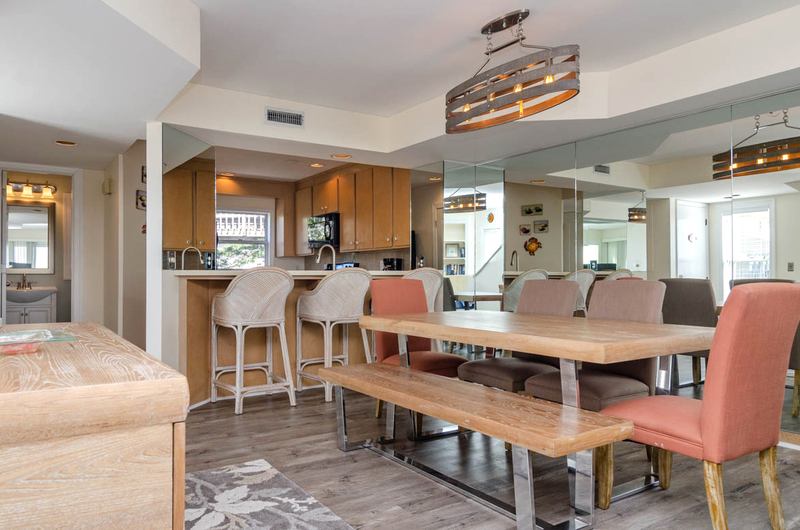 Ocean front and a quick walk for coffee, groceries and restaurants. Wish they would upgrade the bedding, but it wasn’t horrible. For a rental the house was clean and had a great layout that 3 couples or two families could enjoy! Thank you for your review, we hope that you enjoyed your stay, the owner is doing some upgrades and has replaced one of the beds already. Bryant treated us with great kindness and respect. We were given a We were given a gift certificate to Blue Water as a gesture for some problems we encountered in the first week we rented back in June. At least twice during our stay, someone from Bryant called to check on us. We had very fast response to any maintenance calls we made. It was a great week and we love this place on East Columbia! Can’t wait to return next summer. One suggestion: please leave instructions for using the TV! Had a wonderful time at WB, as always! Weather cooperated all week long, and that’s what matters most. 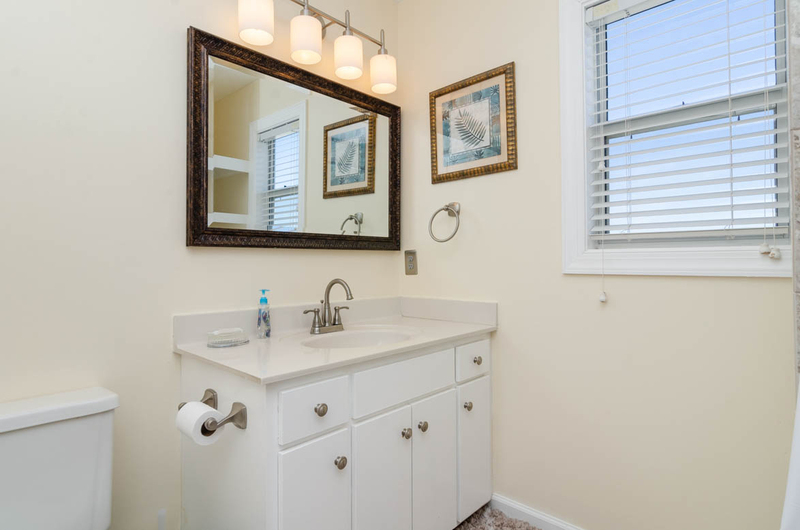 Love the location and the special privacy of the East Columbia community. The townhouse is very accommodating for a small group. Need to address the HVAC leakage, and that should have been done before we arrived. We were not told anything about a potential problem. It did get fixed, but first night was very disruptive. The TV in the living room may need to be replaced. Maintenance guy worked on it, but told us it was just a bandaid. Picture not good. Please change air filters, especially the one at the top of the stairs when you come into the unit. Laura- We are happy to hear you had a wonderful time, the weather has been great! We are sorry to hear you had some issues with leaks upon your arrival but glad we were able to get all squared away. We will look further into the tv as mention. Thanks for your feedback, we hope to see you at the beach again soon! This was our second year staying at Vide. The house was very clean. We were happy to see some upgrades with the new dining and living room furniture and new furniture on the top deck. They are very nice and a much needed improvement. It would be nice to see more updates especially in the kitchen and bathrooms. Appliances are old and, even though it works fine, the dishwasher definitely needs replacing. The door on the bathtub was broken and a hazard until maintenance came and fixed it. The headboard on a twin bed is also broken. The first night we noticed a large wet spot on the carpet in the 3rd floor master bedroom. It was coming from the a/c unit leaking. Maintenance came the next day and unplugged the drain. By the last day of our stay it was leaking again soaking the carpet and dripping through to the second floor. Obviously the A/C unit needed some major maintenance. We will stay again because you can’t beat the location and the view. The property manager also provided good service with the issues we had. We hope to see some more updates on our next visit! Hello Ruth, Thank you so much for the feedback and we are glad you enjoyed our services! Yes - we did have a leak during your stay - there were actually 2 leaks. The HVAC Drain line was clogged, and this allowed condensation from the HVAC system to over flow. This is a small leak, this is what our technician came out and fixed the first day, however, the second issue was a small crack in a pressure line fitting. This turned into a much larger repair the afternoon you left, however, we are happy to say that the leaks have been fully fixed and the carpets professionally cleaned. We will work with the owner on raising the bar in the unit amenities during this off season - keep an eye out for updated photos!! 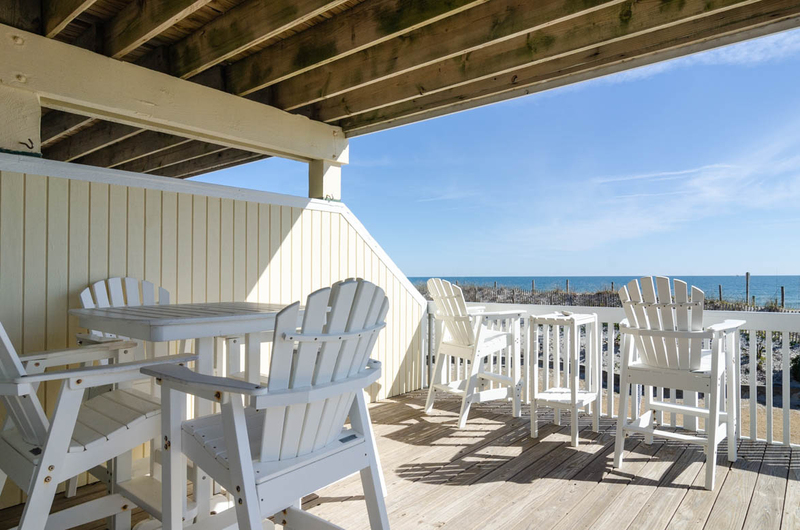 Fabulous location in Wrightsville Beach in an upgraded oceanfront unit. We have stayed here for a week each summer for nearly 10 years and always come back. Lovely end unit with excellent views. Appreciate the inclusion of linens in the rental - new this year. Loved a new Wrightville Beach restaurant - Brent's Bistro on Wtightsville Ave. Best food we've had in all of our years visiting. 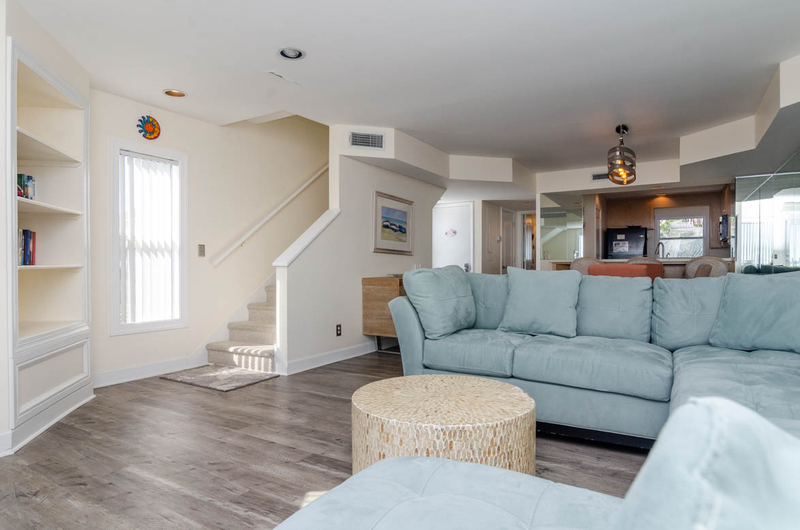 This townhouse is in the heart of Wrightsville Beach so you can walk to restaurants and shopping, yet the home has very private balconies right on the beach. Perfect! The home was clean, comfortable and had all the amenities. Great covered parking. If you don't like stairs, however, then this won't work for you (3 flights of stairs from car to master bedroom). Great house. Check in was very easy and the home met all our expectations. 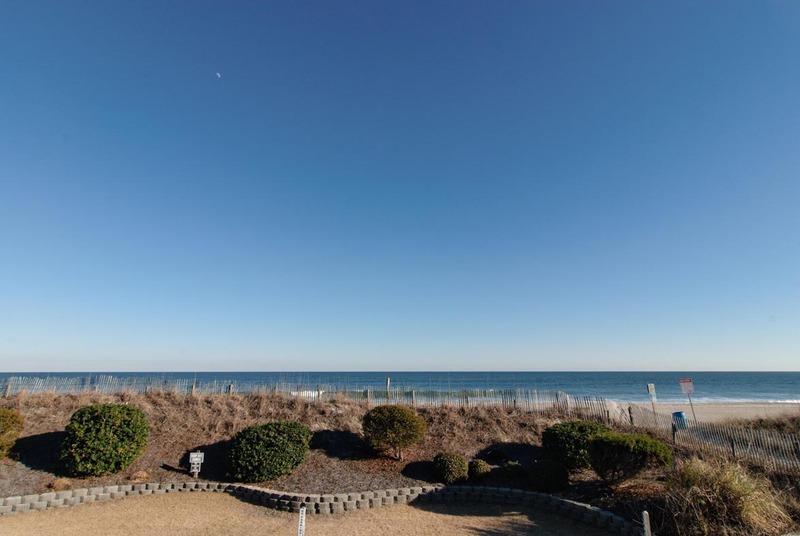 Wonderful location steps from the water and located on the main surf streets. Our only suggestion is to replace the non working large microwave over the stove. We normally cook most days while on vacation and the lack of ventilation was an issue. The small counter top microwave was difficult at best to reheat items due to the interior size. It would be a wise investment to fix the over stove microwave. The weather gods certainly smiled on us for 2 weeks in August. A bit hot the first week but not a single beach day lost due to clouds or storms. Our first reaction coming onto the island in Saturday afternoon traffic was very negative. Lumina Drive was a traffic jamb and could find no where to park at Bryant RE to pick up our keys. But once we got settled at Vide it was 2 weeks of pure relaxation. 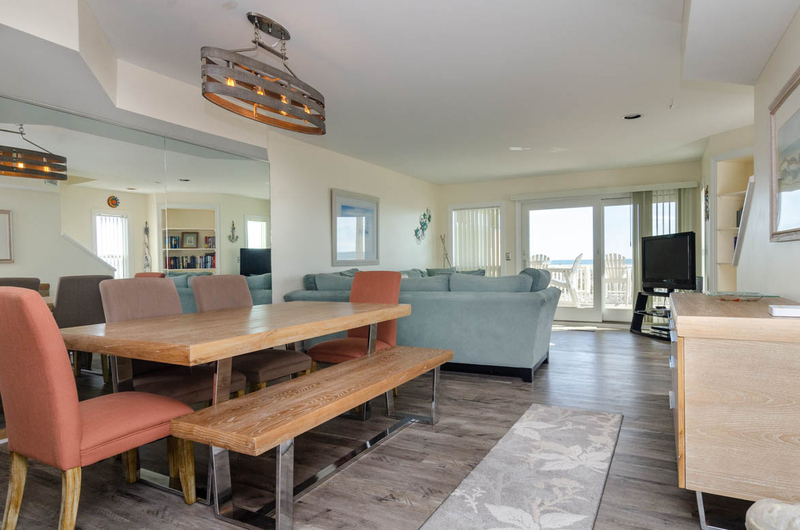 We spent mornings on the broad, expansive, clean beach and evenings just sitting on the front decks listening to the waves, insulated from the noise and late night activity at the bar and restaurants just a block away on Lumina. There were 2 days of unexpected busy beach activity due to charity surfing events not listed on anyone's calendars, but they did not disrupt us as there was plenty of room a block down on the beach. Vide was generally in good condition though carpet worn and many vertical blinds missing slats. Kitchen could have been better equipped so bring your own favorites from home if you plan special cooking. But the 3rd floor master was special with the south facing window wall and deck. Very convenient location. 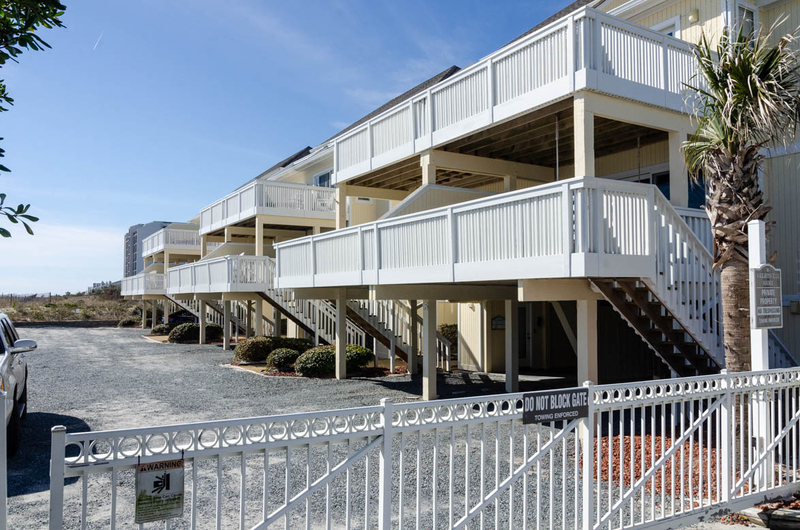 Easy walk to quality restaurants just a block away, a short drive to access boating on the inland waterway or to shop or tour in Wilmington. A few maintenance issues with the home when we arrived but Bryan management quick to respond and resolve. Price and location were great, offset the very worn carpet and blinds. Couch also very old and worn. yet comfortable. Views from all 3 decks were phenomenal. Short walk to Robert's Grocery and many restaurants. A wonderful escaping and an enjoyable vacation from the reality. I had a very peaceful time and got a lot of fun with the activities around there. As an adventurer, explored the new area, discovered the new style of the life there, always refreshed my mind and brought me full of the energy. The amazing Atlantic Ocean, the Golden sunrise and sunset beautiful views during the day, and the fantastic sky with the moon and the stars at night. I can touched/felt/breathed each of them when I was in the beach house. This house has a warm/comfort mood, making me feel like home. I will go there again, in four seasons of the year. I will have my family and friends spending the holidays there next time. It must be more good surprises to me. Hi Quan- thank you so much for your kind feedback! We enjoyed having you very much, and we are looking forward to seeing you on your next trip to the beach. The location of this property was excellent! All rooms were more than adequate! The unit was clean not spotless. The biggest complaint was the sliding doors! They were very difficult to slide! Electrical outlet in a bathroom didn't work. The outside shower could've been more appealing! Overall the location and parking facility was excellent! We are glad to hear you enjoyed your stay! Though, we are sorry you had some issues with an outlet and the sliding door. The unit is occupied currently but we will have a technician scheduled to repair the slider and test the outlets when the current guest checks out. Based on the work-order history, the outlet may have been a bad fuse that we replaced last night prior to seeing this review. Either way, we will triple check the unit on the next turn day to make sure its ready for the next guest. Thank you again for the feedback and we look forward to serving you again on your next vacation! 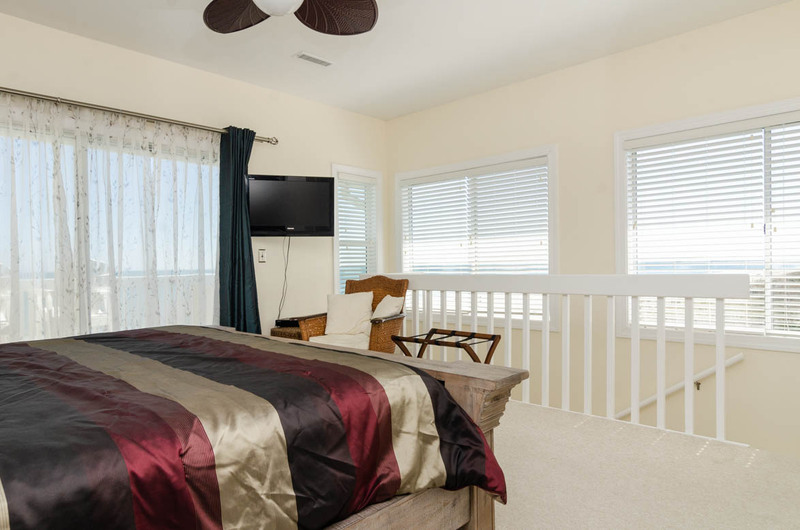 *** just an update, the master bedroom slider is new and is a heavy duty slider rated for coastal (hurricane) use. The mid level slider is a bit older but still functions well. Both doors worked fine, but may take a bit of force - our technician cleaned the tracks to make sure they operate as best as possible. Lastly - he confirmed all outlets are working correctly!! Shower sliding door will not slide, outlet on porch was apart, one towel rack falling off wall, lot of loose outlet plates, porch has metal exposed where homes divide on porch.The place is great but needs some attention. Somebody needs to go in with a punch list. Bryant Real Estate was great to work with no complaints there! Thank you for flagging these issues. We recently completed an annual preventative maintenance inspection and confirmed and address most issues that you spoke of. The shower door was off the tracks and needed to be remounted. The exterior outlet had rusted (the relentless salt air!) an electrician was called to replace. Interior outlets and towel racks were tighten. We apologize that these issues were not resolved for your stay but appreciate the feedback to give us the opportunity of mending the normal wear and tear items before the next guest arrival. The location of "Vide" was fantastic. Great views and close to everything. Upon arrival the property was very clean with the exception of fruit flies in the kitchen. (apparently from prior guest's trash). Maintenance was very quick to respond to our complaint and brought over traps (even though they took a couple of days to actually work.) The layout of the townhome is very nice especially with the extra half bath on the first floor and the master bedroom/bath on the top floor. The kitchen was adequately stocked and has a decent sized pantry. The appliances, though not new, worked fine. The kitchen could use some TLC with new flooring and some basic updates. The kitchen faucet definitely needs to be replaced. The dining/living area also could use some updating. The couch and loveseat, while very comfy, need to be replaced. The "faux leather" is peeling badly. Little pieces stick to your arms and legs every time you sit on it and leave a trail all over the house. The dining chairs are also comfortable but very worn and dirty. The 3 full baths have had some partial upgrades so they are in decent shape. The bedrooms are also clean and comfortable. Carpeting is worn but very clean. We loved the nice furniture on the 1st floor deck. It would have been nice to have a couple of chairs on the 3rd floor deck since that is where the best beach views are. The washer and dryer are very nice. They are probably the newest thing in the home!! The A/C also worked great. With a little updating and some TLC this could be an awesome house. A fresh coat of paint and new decorations would probably do wonders. Maintenance should also leave a broom and dustpan at the property. We would have liked to sweep some of the sand from the floors but could not find a broom to use. We would definitely stay there again since it was so clean and is in a great location. Overall, I would recommend this property but NOT for anyone looking for something more updated. Thank you for your review. We shared your input with the owner and their plans are to replace the couch and love-seat along with the dining room table and chairs. They also expressed that they would get more furniture for the 3rd floor deck. We hope that you had a wonderful vacation and we look forward to seeing you next year. 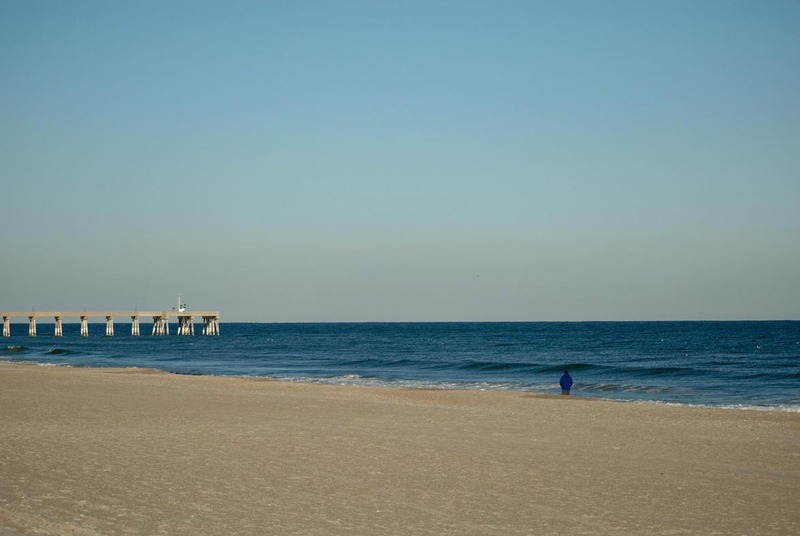 We had a great time at Wrightsville Beach and would definitely visit again. The location of the townhouse we rented was within walking distance to many amenities (small grocery store, several restaurants, and a beach equipment rental). It also was only a 20 minute drive to the historic district in Wilmington. We would definitely rent this house again. This rental I and my family stayed in this exact unit in 16 years ago. Not much had chang d from a furnishings issue except maybe the couch and kitchen table. I was very disappointed in the wear and tear of this unit. The carpet was stained and dirty. The outside furniture was dirty and stained. It needed to be bleached and better taken care of. The railings leading up and down inside were sticky and just nasty . There was a broken chipped cocktail table that needs to be removed immediately. The windows are moldy and dirty. We bought our own cleaning supplies as we too bought our own linens which I highly suggest. 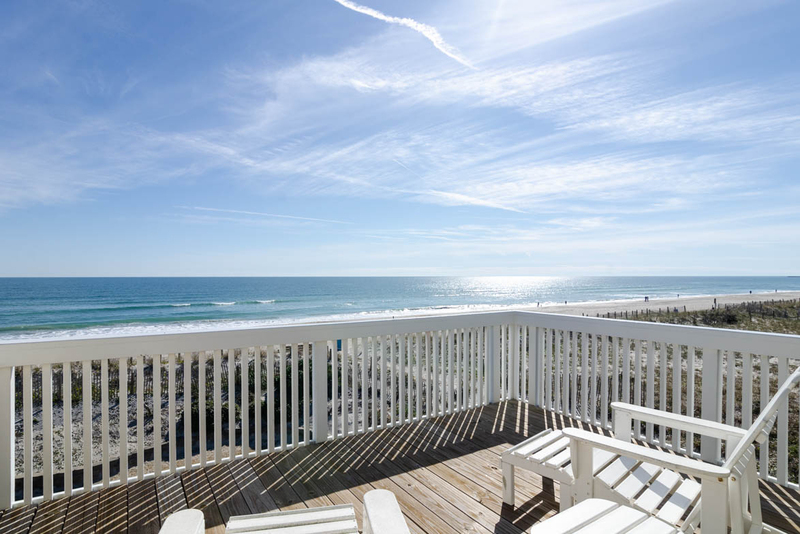 We are locals and love Wrightsville Beach This unit did not live up to anything I would go back back to. Ms. Quinn, We would like to apologize for condition on the home upon your arrival. While we strive for all units to meet our exceptional standards, sometimes we fall short. We appreciate your feedback and will share this information with our housekeeping staff to prevent future occurrences and to insure these mentioned areas are brought up to par. We have provided compensation due to your experience and we hope that we can assist you with your future vacation needs. We hope to see you at the beach again next year! This was the absolute best beach rental!!! I had my doubts because beach homes aren’t always the cleanest, but this place was literally spotless. Everything was in good working condition, all doors, windows would shut! They provided dry cleaned linens with towels (linens are an extra charge but totally worth it), soap in every bathroom, carpet was clean and sofa was in excellent condition. Would recommend to everyone!